Who ever thought back in the 1970’s that a regular girl from Queens New York who listened to Led Zeppelin would grow up to be driven on a mission to teach all of humanity how to receive answers directly from God? Who ever thought that it was even possible to receive direct answers? I sure didn’t! I was the “rebellious teen” staying out late at night with rock and roll friends, listening to music until the wee hours of the morning, while my dear Mom would be practically hanging out the window, wondering when I would come home. It was usually around 4 am, until I learned better. Growing up (it took over 40 years) I would get passionate about an area of life, but that passion was always to find myself or to “be somebody” because I never felt like much of anybody, until I learned how we are all somebody. I learned it all from God in writing. When I was told back in 1994 that I would be bringing through information from God in writing and in speech to uplift the spiritual consciousness of humanity, I looked at that man as if he was from Pluto. “What? Are you kidding me?” I laughed out loud, “why would God want to talk to me? I’m not Mother Teresa or the Dalai Lama, why would God want to speak to me?” I was told that I wasn’t going to be like some madam Zelda with a scarf on her head and a crystal ball, but I would find that I would be bringing through information from God to uplift the spiritual consciousness of humanity. That one went right over my head. I truly did not understand what that meant, and I definitely did not believe that I had any ability to receive answers from God. As life happened, and as hardships happened, I found that I was in the deepest despair. I felt hopeless, helpless, completely alone and suicidal. My darkest moments were after an unwarranted child custody litigation suit, which I lost before it even started, as I did not have the funds to hire an attorney to represent me throughout the litigation process. Back then, I viewed my situation from the perspective as if “I lost my children.” Because I never once hit my children, and I never once called them a negative name, I could not understand how this injustice could happen to me. I wrote letters to God, and I asked for answers. What shocked me the most was that I received them. In that moment, when I re-read what I had written, the words of God as they flowed into my mind, my entire reality was completely transformed. I came back to life! I realized God is right! I did not lose my children. I did have visitation rights, and I live very close to them. I really was merely sharing for the care of them with their father! I then began to do writings to God several times each day to completely rebuild and transform my entire life. As a byproduct of the guidance I received, I began sharing this with other people. I just shared from my heart how to do ‘a writing’ and receive answers from God. That sharing started to transform other people’s lives, too. I was guided step by step, entirely in the moment, what to create, what book to write, what to share, and then I discovered the greatest gift of all – my love of seeing the difference this makes for everyone who receives answers in writing directly from God, as each person understands Him to be. I learned from the answers God gave me in my writings how to have pure self love. Unconditional love. I learned that it is how we view a situation that causes either our misery or our understanding. I learned that we are never alone. We have Divine help with us 24/7. There was a guy I met a long time ago that I was really interested in. Actually, that is an understatement, I completely fell in love. I did a writing and wanted to understand why my feelings were so strong. I felt like I knew him forever. I received a lot of personal information about him that would be relevant to our relationship. When I read him my first three writings about him and us, he looked at me and said, “It’s like you stuck a needle in my brain and extracted fluid. I don’t know how you could know all of this.” He was brave enough to admit that it was all the truth. That was in the year 2000. Now, we have a compassionate, long distance friendship, and I still do writings whenever I’m not sure about what to do in my life. I ask for the next best steps to take, the best words to say in reply to an important email, I ask God for information to help me and guide me whenever I truly am not sure about what to do, or how to handle any situation in my life, both for my highest good, and the highest good of all. I do, literally, live like a Nun. The only difference is that I still listen to Led Zeppelin, and I have never felt more inner peace as I do now, on a true from-the-heart-mission to teach all of humanity how everyone can also receive answers, because I am no different than you. The whole key is to write down the questions coming from your deepest heart. Whatever you ask about has to truly matter to you, and your motive has to be pure. I’ve had the title of this article popping into my mind so many times, that I decided it was time to finally write it. The truth is that you do not have to be a central religious figure to receive answers from God. All you need is a pure and open heart. You don’t have to live in a monastery either. You can listen to your favorite music, play on the beach collecting sea shells, and you can be a regular human being. There is zero special ability to receiving answers from God in writing. Any pen and paper will do. I also learned from God that there truly is no “death” there is only a change in form when people cross over. We are fully alive on the other side as we are right now. Sometimes even more so. Our souls never die, and love never dies. It is because love is the strongest and most powerful energy in the universe that as long as our heartfelt desire for answers from God comes from our heart, we will always receive them. The other important part is that we have to truly desire the answers, as well as have the desire to follow through in our actions when we receive them. Is it easy? No, it is not easy to uproot our deepest growth issues and completely transform ourselves and our lives. Personal transformation takes great conscious effort, and we have to push through a lot of fears in the process. At least I had to. But in the end, there is nothing more rewarding than to know with absolute certainty, (after I got over the fears from believing that I was insane) that you, just like me, really can receive direct answers. And those answers turn out to be such pure truth that you will be amazed after looking back on your writings over a period of time. In the meantime, my commitment comes from my heart to share this with all of humanity in a way that continues to live on, long after I am gone. There is one set of instructions I gave to my daughter for when I pass over, I requested that she play “Stairway to Heaven” by Led Zeppelin because I’ll still be rocking ‘n rolling while alive on the other side. As far as living like a Nun, I actually love working for God and living this mission from my heart so much that I really don’t have the desire to do much more than the spiritual work because it’s so rewarding and so pure. I am human, however, and I do still love rock and roll. 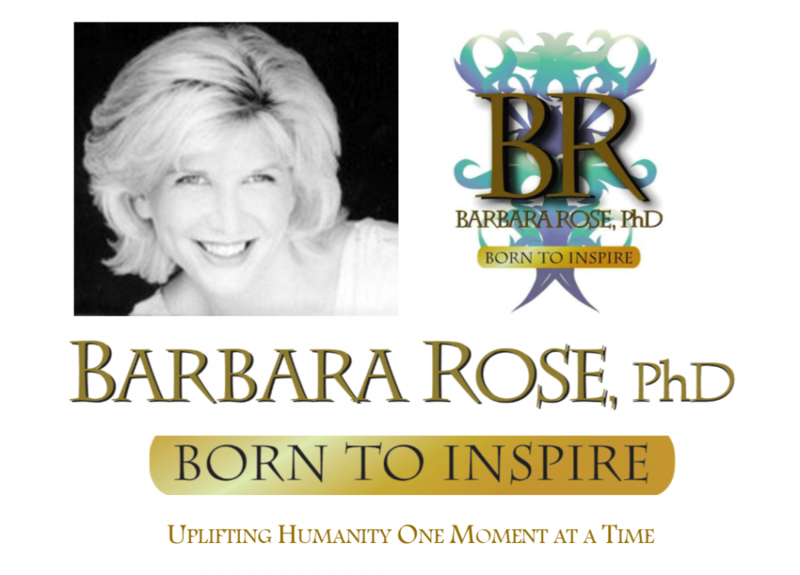 © Copyright 2012, 2018 by Barbara Rose, PhD All Rights Reserved. This entry was posted in Browse Pesonal Growth, Browse Society and Transformation and tagged Barbara Rose PhD, BORNTOINSPIRE, Comments about the work of Barbara Rose, Jimmy Page, LED ZEPPELIN, personal transformation, Zeppelin Greatest Classic Rock by Barbara Rose, PhD |Born To Inspire | Bestselling Author| Life Transformation Expert. Bookmark the permalink.